JACK BENNY'S CAST GATHERS AROUND THE RADIO FOR A LAUGH ON THE BOSS. . Yes, it’s a posed publicity picture. Yet it’s quite possible that Jack Benny’s radio “family”, (left to right), Eddie Rochester Anderson, Dennis Day, Phil Harris, Mary Livingston, Benny, Don Wilson and Mel Blanc, could have been listening to themselves on a Sunday night in Los Angeles some four or five hours after they performed the broadcast. It’s common knowledge that NBC and CBS banned - for “technical quality” purposes - their West Coast affiliates from transcribing network feeds of programs for delayed broadcast in the Mountain and Pacific time zones. Note: Mutual never observed this prohibition and Blue began lowering its restrictions in 1939. From 1934 through 1936, the West Coast feed of Benny’s half-hour on the Blue Network was carried by the Los Angeles NBC (Red) affiliate KFI at 8:30. (Both KFI and the city’s Blue affiliate, KECA, were owned by Los Angeles car dealer Earle C. Anthony.) When Benny moved to NBC in 1936, KFI continued to carry the repeat performance at 8:30. The practice continued until the 1941-42 season when KFI aired the first feed of Benny’s show at 4:00 p.m. Pacific Coast time. The 8:30 p.m. repeat was now on transcription which was allowed to be broadcast by Blue's Pacific Coast Network where it was was broadcast by KECA. Both KFI and KECA sold out their Sunday night timeslots during the wartime rush of new business in the 1942-43 season - as described in Network Radio Ratings, 1932-1953 - and Benny was limited to his 4:00 broadcast on KFI with no Sunday evening repeats. The double plays resumed in 1943-44 when Benny’s show on KFI at 4:00 was repeated on KHJ at 8:30. KHJ was the city’s Mutual affiliate - more interestingly it was owned by KFI owner Anthony’s arch rival in both broadcasting and the auto business, Don Lee. General Foods had made a separate deal with the entire 34 station Don Lee West Coast network from Seattle to San Diego to transcribe the 4:00 show from NBC for replay at 8:30. As a result, Benny’s programs were heard on Sunday nights from KHJ for the entire season. Both shows returned to KFI for the 1944-45 season - the live show at 4:00 its transcribed repeat, (flagged in the Los Angeles Times as “re-broadcast”), moved up from 8:30 to 9:30. (1). 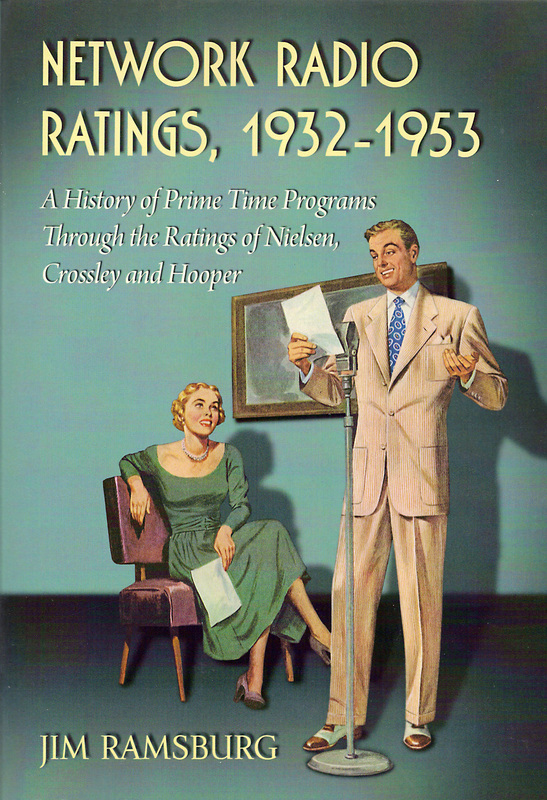 The repeat’s later hour was necessary to clear time for the long running Standard Oil Hour on NBC’s Pacific Network. Benny’s two Sunday broadcasts remained on that schedule for the following four seasons. When it was announced in the fall of 1948 that Benny was moving to CBS on January 2nd, 1949, KFI reacted by delaying both Benny broadcasts - transcribing the live performance at 4:00 for airing at 5:00 and repeating it at 10:30. But as soon as the Benny show began on CBS, the network’s Los Angeles, KNX, reinstated the live broadcast at 4:00 and its transcribed repeat at 9:30. Doubling down in the 1950-51 season when Edgar Bergen took his Charlie McCarthy and jumped to CBS, KNX broadcast Bergen’s live performance at 5:00 Pacific Time, and repeated it by transcription next to Benny on its Sunday evening schedule. The two repeats ran back to back until Benny’s last live Network Radio show on May 22, 1955. (1) To circumvent NBC's ban against transcribed network programs in 1944-45, American Tobacco made individual buys for Benny's delayed broadcasts on West Coast stations KFI/Los Angeles, KPO/San Francisco, KFSD/San Diego, KOMO/Seattle, KGW/Portland, KMJ/Fresno, KHQ/Spokane and KMED/Medford. Each station recorded the 4:00 NBC feed for later broadcast.